While Harley-Davidson does have plans for the mid-segment, its keen focus on the big bike market is hard to miss. Harley-Davidson dominates the over 1,600cc segment, wherein over 600 units are sold annually. In 2018, Harley Davidson did announce plans to develop a 200-500 cc motorcycle through a strategic alliance in Asia, and its smallest segment offering in India has been gauged through Street 750 sales. Harley-Davidson has held its own in terms of sales of its Street series. Competition came in from various quarters, along with the new Royal Enfield 650 Twins being launched in the country. Over the past year, Harley Davidson and Kawasaki, though not mass market performers have seen success in the mid size capacity segment. The segment sees a stalwart like Royal Enfield with a fair chance at dominance with its 650 twins on offer. Harley Davidson Street 750 is the most affordable motorcycle in the company’s range in India. It is priced at Rs.5.31 lakhs and offered in seven color shades that include Vivid Black, Black Denim, Wicked Red, Bonneville Salt Pearl, Vivid Black Deluxe, Wicked Red Deluxe and Bonneville Salt Pearl Deluxe. It was recently updated with the ABS safety feature and gets its power via a 750cc, liquid cooled, V-Twin engine offering 47.6PS at 8,000rpm and a peak torque of 59Nm at 3,750 rpm sending power to rear wheel via a belt drive mated to a 6 speed gearbox. The Street 750 sits on a Steel Double Cradle frame and gets telescopic front forks and gas charged shocks at the rear. The Harley Davidson Street 750 gets low seat height of 720 mm and kerb weight of 233 kgs while braking is via disc brakes at both ends. Other on-board features include a swept back handlebar, mid mounted instrumentation and a rounded headlamp. Feature offerings also include a 3.5” electronic speedometer with high beam, low fuel warning indicator, low oil pressure and engine diagnostics. More recently, Harley Davidson India has announced a recall for the Street 750 and Street Rod 750. The company cites faulty brake calipers as the reason for this recall and a total of 43,908 units have been affected globally. Company dealerships in India have undertaken a replacement drive of brake calipers which will be fitted free of cost. 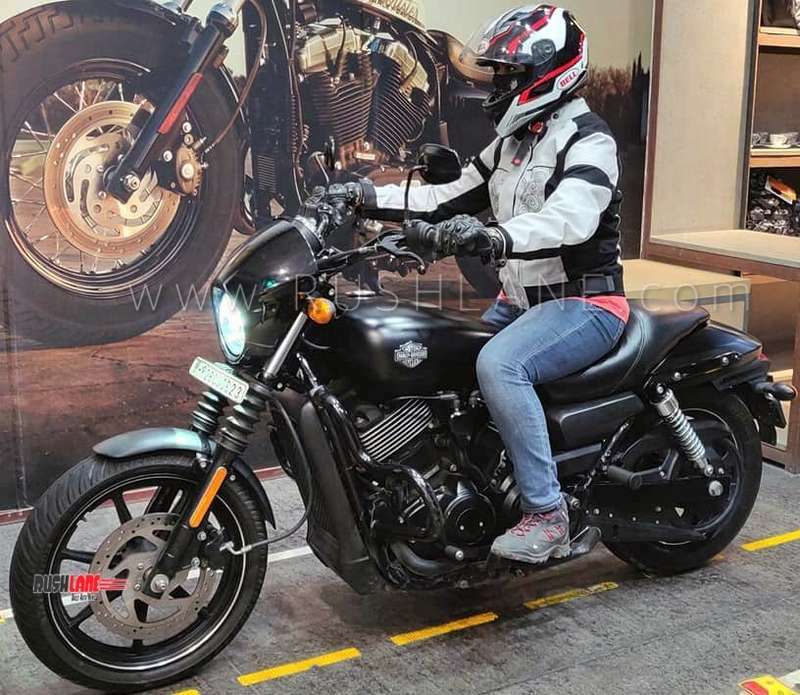 As such, low (no) Street 750 sales in January and February 2019 are attributed to the recall, and measures are being taken by the company to rectify the matter at hand.